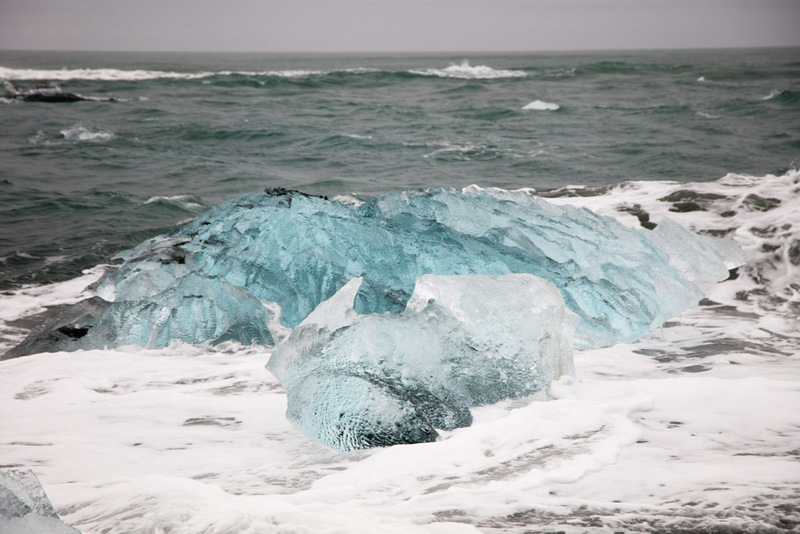 Jökulsárlón is a glacial lake where small icebergs calve from the ice cap tongue and are washed down to the sea. We saw some common seals at a distance offshore and snow buntings were flying around the cafe in hope of picking up some scraps. 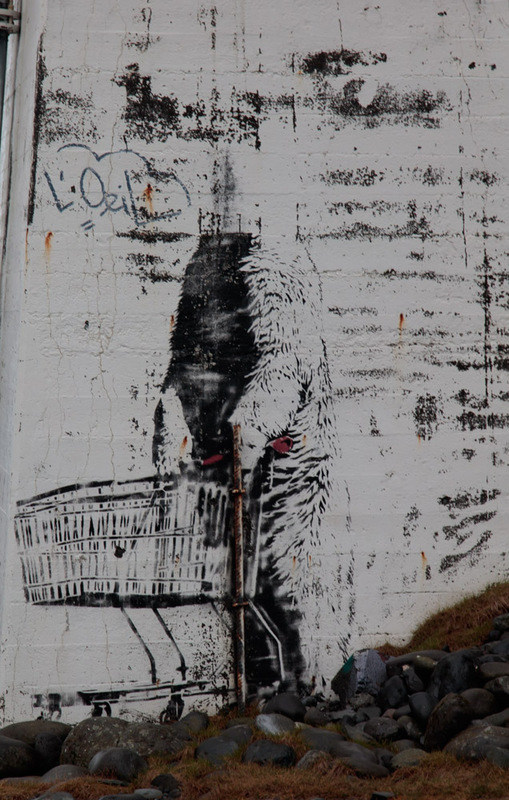 The nearby bridge has another possible Banksy work on it. It has always been headless but there have been graffiti additions. 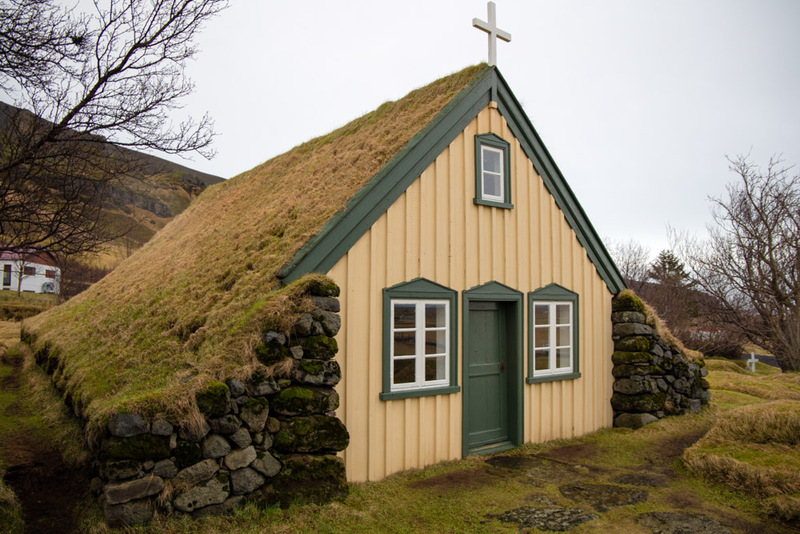 Our next port of call was the last turf church built in 1884 and dedicated to saint Clement, Hofskirkja. The stone receptacle for holy water sits near the door and there are other stone receptacles just outside the graveyard which were used for beating and cooling metal. Wood for the fire and metal from shipwrecks were used. 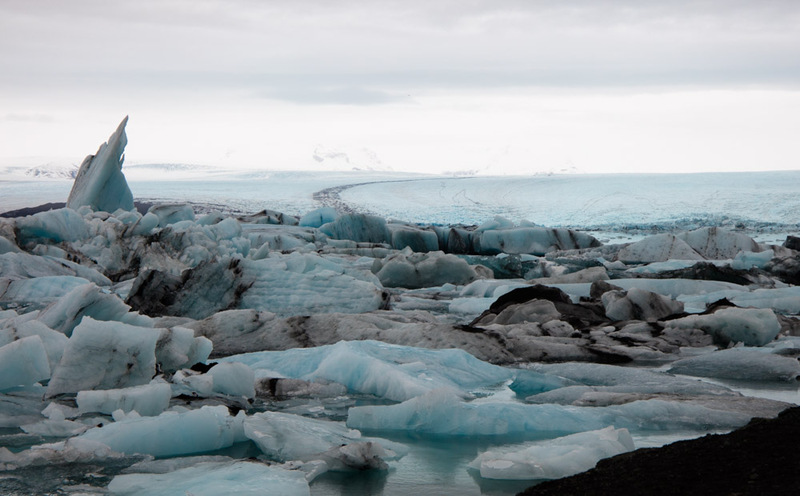 More ice was seen at the Svínafellsjökull glacier. We had a short walk along it but we were now getting back into tourist territory and had to dodge the drones and selfie sticks. 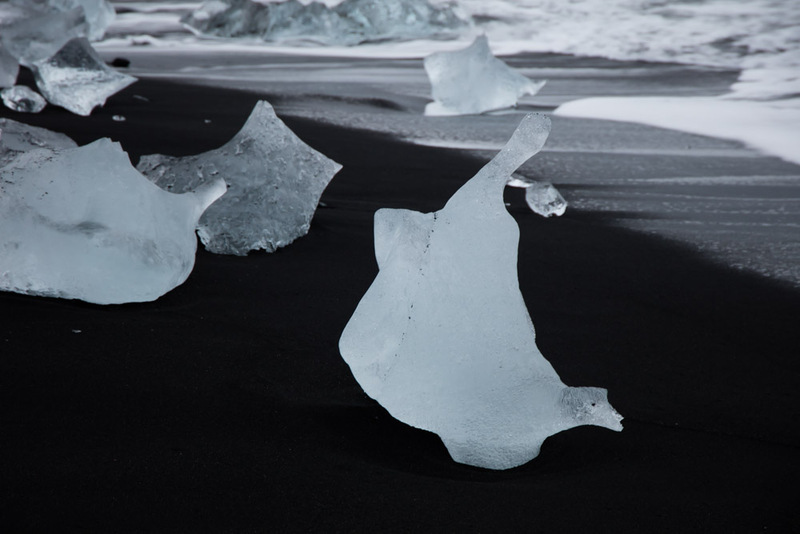 We drove over the Skeiðarársandur sandflats where with the highest peak in Iceland, Hvannadalshnjúkur was hiding in the cloud. 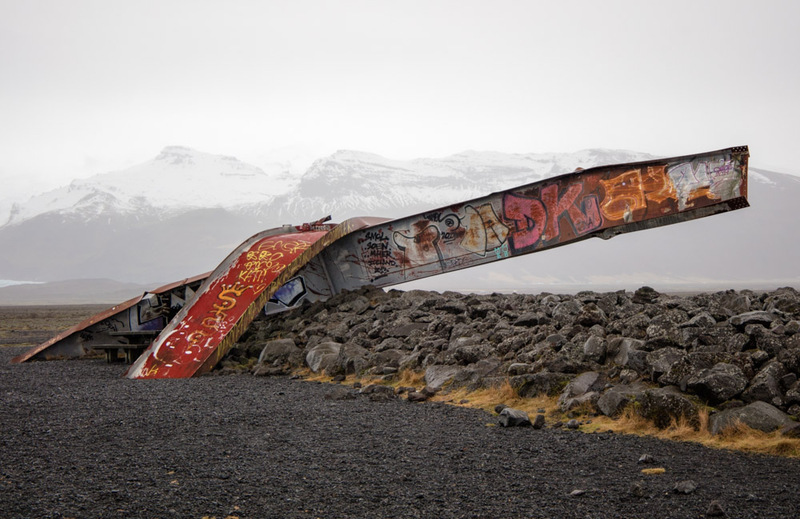 In 1996, a flood following an eruption, washed away a bridge. There is now a memorial. The lava field here is the largest since Iceland was settled. 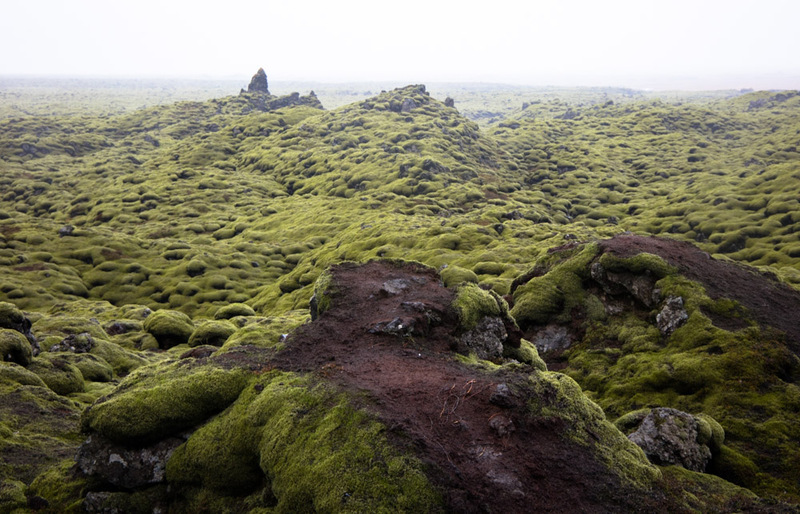 Unlike those in the north of the country, where there is less rain, the southern lava fields are green with moss and lichens. 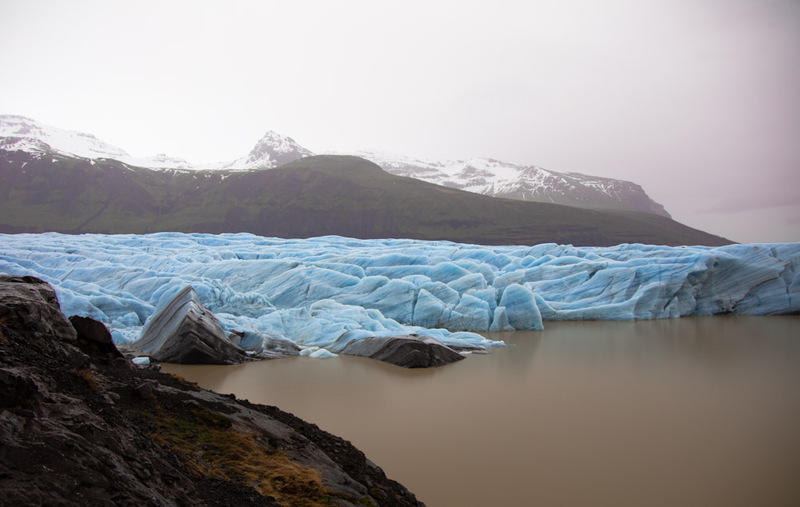 We were now in the rainiest part of Iceland and it rained.